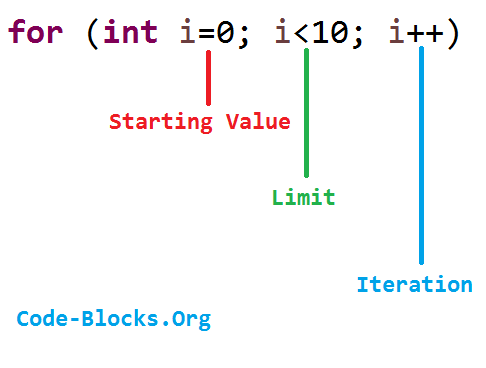 A for loop in java consists of 3 parts, 1) starting value, 2) the limit, 3)Iteration; doesnt have to be necessarily iteration, can also decrement, multiply, add or any other condition you need. More advanced examples will be given on the next tutorials. © 2019 Sample Coding Blocks. All rights reserved.